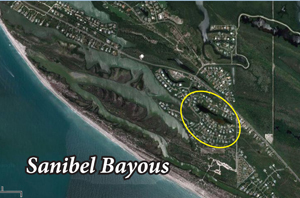 This week I want to talk about two neighborhoods centrally located on Sanibel. 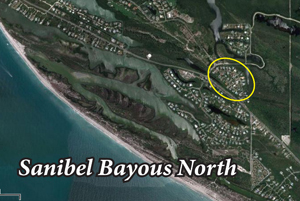 Sanibel Bayous and Sanibel Bayous North are on opposite sides of Sanibel-Captiva Drive, near the exit road from the J.N. Ding Darling Wildlife Refuge. Serene and peaceful, this part of the island offers single family homes and homesites in harmony with our natural environment. Close by you have the fantastic beaches at Blind Pass as well as access to miles and miles of famous shelling at Bowman's Beach. Some of the best restaurants are located just a short drive on Captiva Island: Mucky Duck, Olde Captiva House at 'Tween Waters Inn, and The Bubble Room just to name a few. Captiva also offers marinas with charter fishing guides and island tour boat rides. As always, I have the latest info on what's available in these two island communities. Currently we have six homes available, listed from $549,000 for a 3/2 to $725,000 for a 4/4. For homesites we have three listings from $219,000 to $399,000. Contact me and I can describe the locations and send you listing information on whatever property sounds like it might fit your criteria. You can check out a video tour of these neighborhoods on my two webpages. I'd love to talk to you about all our current listings and I'm sure we have just the right property for you! From the east end of Sanibel Island all the way to the northern end of Captiva Island, I can find just the right home, condo or homesite to suit your needs! Our busy season is almost upon us and the real estate market is picking up speed. If you want to catch mortgage rates at their historic lows and be able to check out a full inventory of pre-season properties - NOW is the time to contact me! If you are in the beginning stages of your search, I can put your buying criteria into my computer and you will automatically be sent listing information as soon as a property that fits your criteria becomes available!